We run our business according to a set of principles described as Total Quality Management (TQM). We believe that living by certain principles (for example, Caring) and by consistently living up to our promises, we all provide our team with a great place to work, a job that is fun, challenging, rewarding and something of which we can be proud. Total Quality Management is a structured system for satisfying internal and external customers and suppliers by integrating the business environment, continuous improvement, and breakthroughs with development, improvement, and maintenance cycles while changing organization culture. Fairness and Respect are two of the principles we follow. That means we are extreme advocates of equal opportunity, especially when it comes to employing, supporting, education and critiquing. We treat everyone fairly and respectfully and expect our team to do the same for everyone we interact with regardless of race, color, age, gender, sexual orientation, religion, national origin or disability. Our SHINING STAR OATH is our team's promise to recognize that our coworkers are our customers too and reach out with sincerity and attitude that makes others feel special. I certify that the facts set forth in this application are true, complete, and correct to the best of my knowledge. I understand that any misrepresentations, falsifications, or omissions on this application can be grounds for immediate denial of my appointment or removal from consideration or, if I have entered into a contract with this company, for immediate termination of that contract. 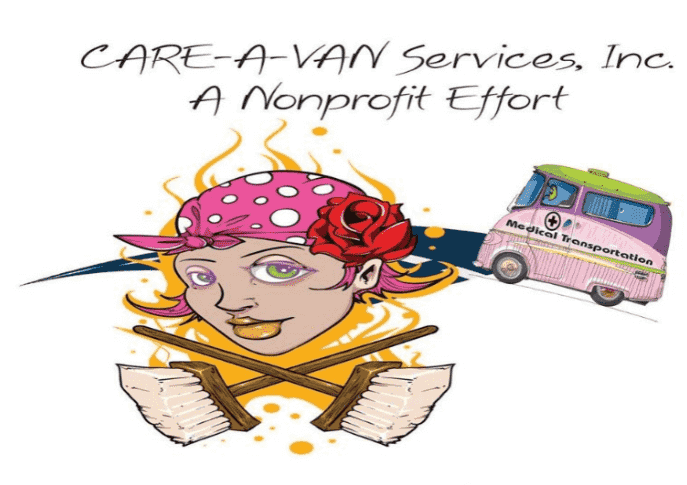 I authorize CARE‐A‐VAN Services, Inc. to make any necessary inquiries and investigations into my education, references, or contracting history. I further authorize, unless otherwise indicated on this application, the release of my information to CARE‐A‐VAN Services, Inc. by any of the schools, services, or employers listed on this application. I also hereby release from liability CARE‐A‐VAN Services, Inc. and its representatives for seeking, gathering, and using such information to make decisions concerning my status as an independent contractor for CARE‐A‐VAN Services, Inc. and all other persons or organizations for providing such information. THIS IS NOT AN APPLICATION FOR EMPLOYMENT. THIS IS AN APPLICATION FOR BECOMING AN INDEPENDENT CONTRACTOR. I understand and agree that if this application is accepted, my status will be that of an independent contractor and as such, I will be solely responsible for all tax liabilities pertaining to monies received in the course of services I perform. -not be entitled to workers compensation benefits. -not be entitled to uncontracting insurance benefits unless uncontracting coverage is provided by me or some other entity. -be obligated to pay federal and state income tax on any moneys paid pursuant to the contract relationship. -be required to provide professional and liability insurance. I represent and warrant that I have read and fully understand the foregoing, and that I seek to become an independent contractor under these conditions. Applicant's or family members may apply for services by completing our on-line referral form. Click Here to tell us what you think about the website, The Company or our Service.